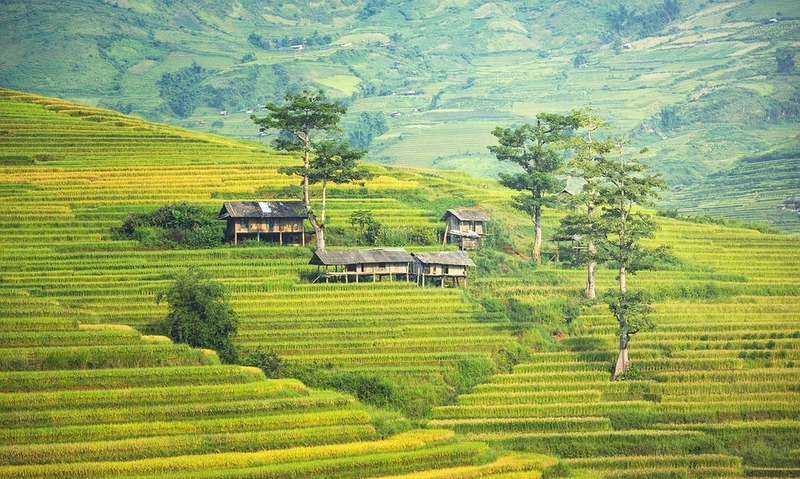 If you’re travelling to or from Cambodia, using My Baggage can save you time and money. We provide a low cost door to door luggage shipping service, meaning you can travel luggage-free. The process is simple and easy, allowing you to put your feet up and relax, whilst we take care of your luggage shipping to Cambodia. Situated in Southeast Asia, Cambodia is the home of many historic landmarks and the scenery is utterly breathtaking; consisting of long lakes, dreamy beaches, ancient temples and delicious food, oozing with culture. Cambodia may be a small country but the hearts of the locals are bigger than you could ever imagine. It’s full of people that will make you feel welcome and right at home in their country from the moment you arrive. The joy they have towards life is contagious to anyone in their company. When in Cambodia, you’ll realise that prices are unbelievably low there compared to other parts of the world, making it all the more enjoyable, encouraging you to eat out and make the most of your time there. Why Ship Luggage to Cambodia? Shipping luggage to Cambodia means you don’t have to pay high fees if you’re bag is a little over the size your airline asks for. Using traditional removal companies are great when moving large household items like a bed ect. For the rest of your personal belongings that are smaller in size, a luggage shipping company is ideal and convenient.With My Baggage you can wave goodbye to expensive airline baggage fees and out-of-budget removals. 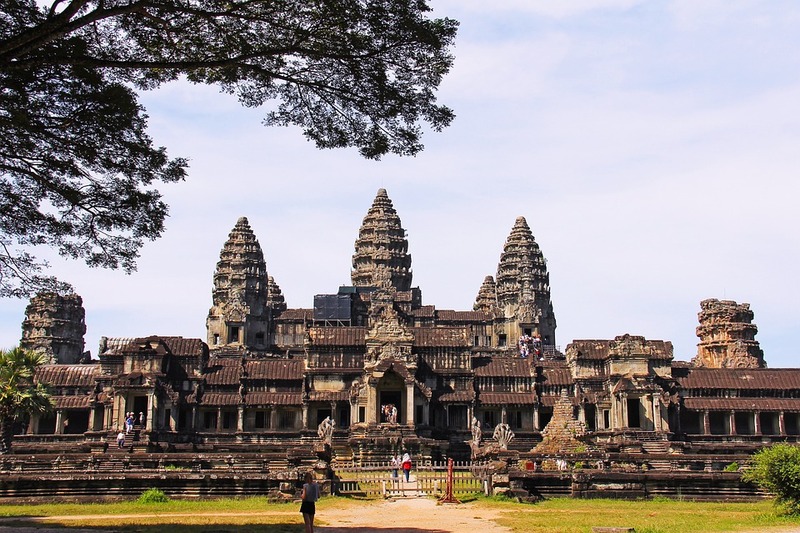 Visit Angkor Wat – Angkor Wat was built in the early 12th century as a Hindu temple and later on it became Buddhist. Today, Angkor Wat is the largest religious monument in the world, located just 3.7 miles north of Siem Reap. It has been named one of the seven wonders of the world which makes it a ‘must see’ for anyone visiting Cambodia. Angkor Wat is also a national symbol of Cambodia. It is printed in the centre of the national Cambodian flag, showing it’s something that the country is immensely proud of. Tour The Tuol Sleng Genocide Museum – This museum was once a high school until Pol Pot and the Khmer Rouge were in power. Pol Pot, with the support of the Khmer Rouge turned the high school into a prison and interrogation centre. Today, you can visit this museum in Cambodia, it’s jam packed with history, but certainly a rather upsetting and difficult visit for people. The museum stands in remembrance of those that lost their lives during the Cambodian holocaust. Tourists visit this museum to pay respect to those people and gain understanding of the genocide that once happened in Cambodia. 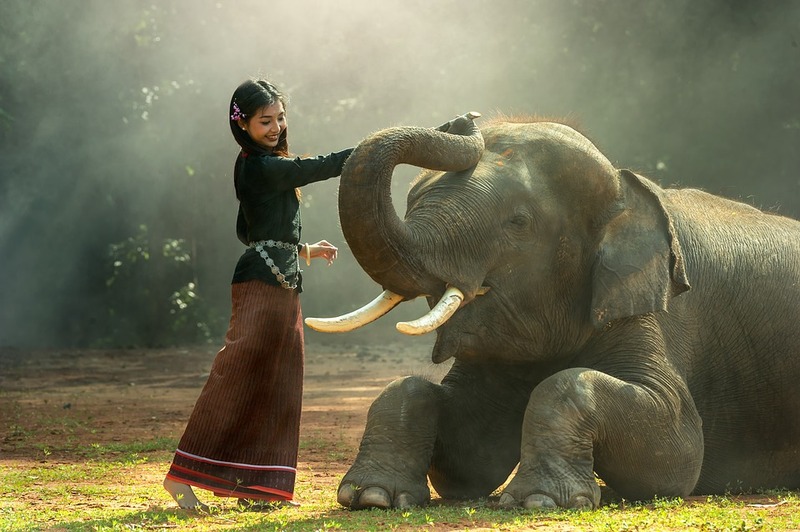 Play With Elephants – The Provence of Mondulkiri is home of numerous elephant sanctuaries. So if you’re a lover of elephants, this place is for you. As there’s many, you will have to choose what sanctuary you wish to visit, it is recommended to do in-depth research into this as it is said that some do not take animal welfare into consideration and supporting them with your money will not better that. At these Elephant sanctuaries there is a range of things to do, you can simply feed the elephants or help bathe an elephant in the river, an unforgettable experience. Why Ship luggage to Cambodia with My Baggage? Door To Door Shipping Makes Our Service Convenient – With our door to door shipping service, there’s no need to use drop off locations. The luggage will be collected at your door and then delivered to the door of your destination. You Can Track Your Luggage – We offer an online luggage tracking service, to ensure you know what stage your delivery is in and when. All you have to do is simply sign into your online account to access this. Fantastic Low Prices – We offer excellent, low priced services and we’re constantly trying to improve this, to ensure our customers are happy. If you find a price lower elsewhere, let us know and we’ll try to match it! Depending on your circumstances, you might find yourself needing and wanting much more that just luggage with you when in Cambodia. Thankfully, My Baggage can ship some items that you might also like to have in Cambodia. Shipping your bike to Cambodia is made easy with My Baggage. There’s a lot to see and do when in Cambodia and what better way to explore it than by bike?! When preparing your bike for transit with My Baggage, please make sure it is dismantled and placed within a strong cardboard box. Many of our customers prefer heading to their local bike shop and paying for their bike to be dismantled, this is often an easier option and can erase stress. Sending a care package to Cambodia with My Baggage is an extremely thoughtful idea. You could make someone feel much better, simply by creating a care package of their favourite things or things that they need and sending it to them in Cambodia. When picking items for your care package, do check our non-compensation and prohibited items list, to ensure your parcel can get to Cambodia as quickly as possible with minimal delays. When shipping luggage to Cambodia items can be sent in boxes, suitcases or a mixture of both. We recommend that you use strong- double walled cardboard boxes to ensure your items are secure for transit and that nothing gets broken. Have a look at our full packaging guide to find out more. When shipping from the UK to Cambodia, you are legally required to complete and send a customs declaration with your shipment. My Baggage will provide you with the appropriate customs paperwork for you to complete and attach to your shipment. If your shipment does not have a customs invoice attached, it will not make it past your local country border, and you may have to pay return charges to get it back. Generally, My Baggage shipments clear customs in a timely manner, free from duties and taxes, as most countries offer a generous duty-free allowance for personal effects. However, as customs processes and allowances are different around the world, and because My Baggage has no control over any decisions made, we do advise doing your own personal research into Cambodia customs regulations and quarantine before booking your shipment to Cambodia.Please make yourself aware of any potential customs duties in Cambodia and be sure to follow any and all advice provided by customs directly. 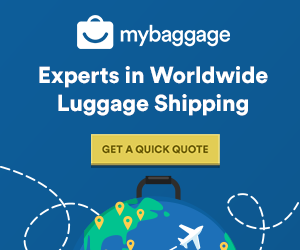 My Baggage allows you to ship your personal items anywhere in the world.However, for security and customs reasons, there are certain items which are prohibited and cannot be carried, as is standard with most shipping companies. Please note that import allowances, security and customs processes differ all around the world; we recommend that you do your own personal research into what may be prohibited in Cambodia before booking your shipment. Booking with My Baggage is quick and simple with our 24/7, online booking system.